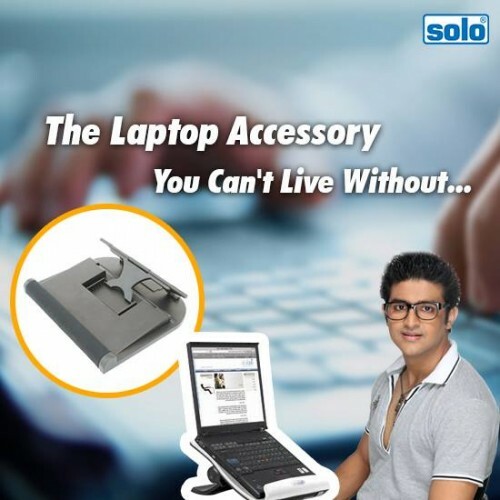 The Solo Ring Binder is made to be A4 Size Compatible so that you can easily place all your important documents and papers in it. The Pocket on the Inside Cover of this Solo Ring Binder can be used to store loose sheets and papers. 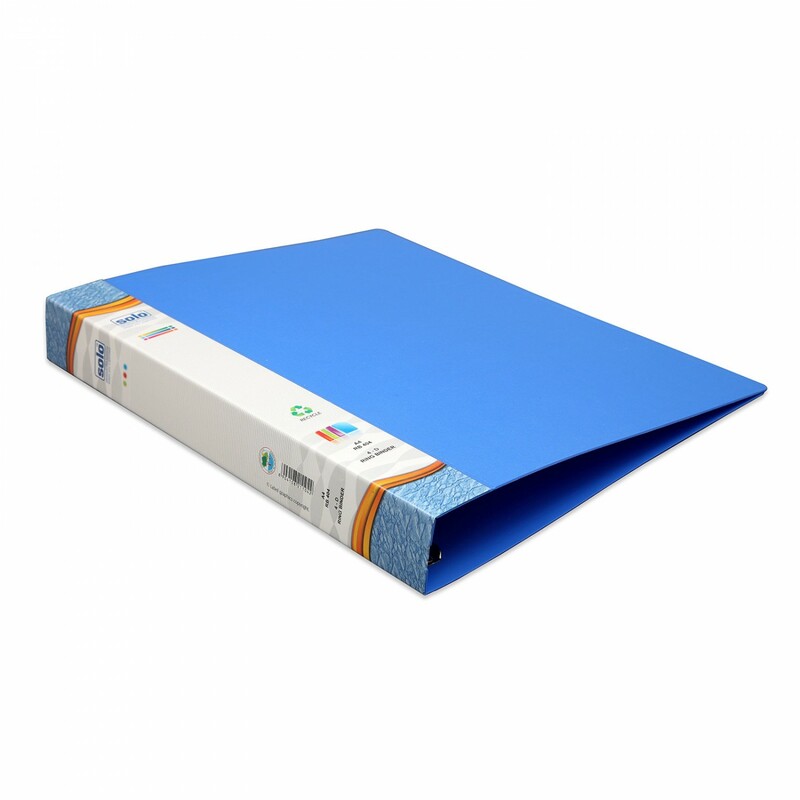 This Solo Binder is equipped with a 4d Ring Binder and proves to be handy for bulk storage. 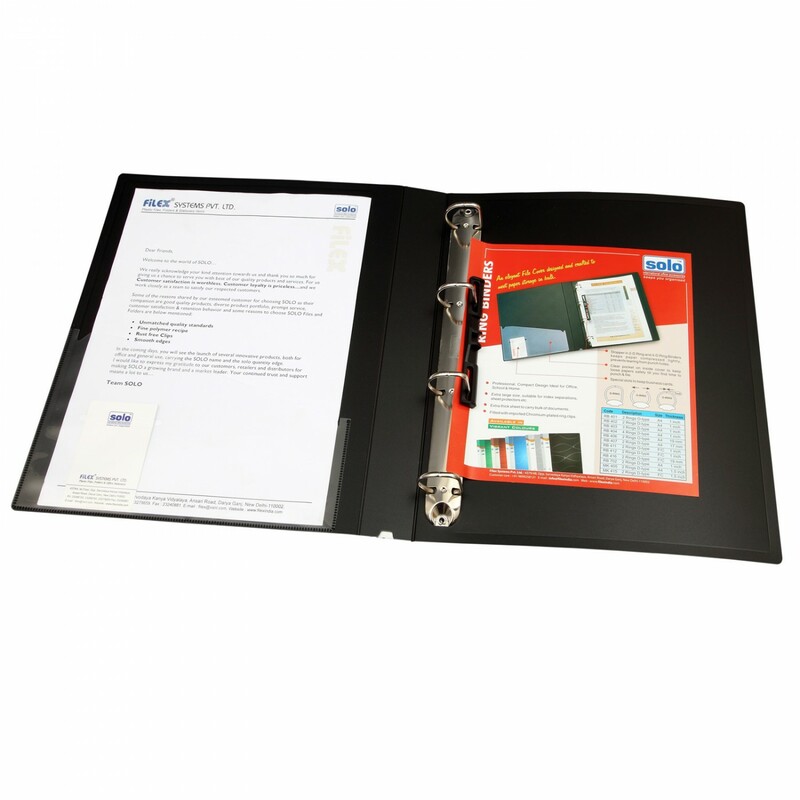 There is a Business Card Holder provided along with this Solo Ring Binder so that you can place all your important business cards in it. The ring provided in this binder is a Chromium Fitted Ring and is equipped with Anti-static Agents for extra durability. 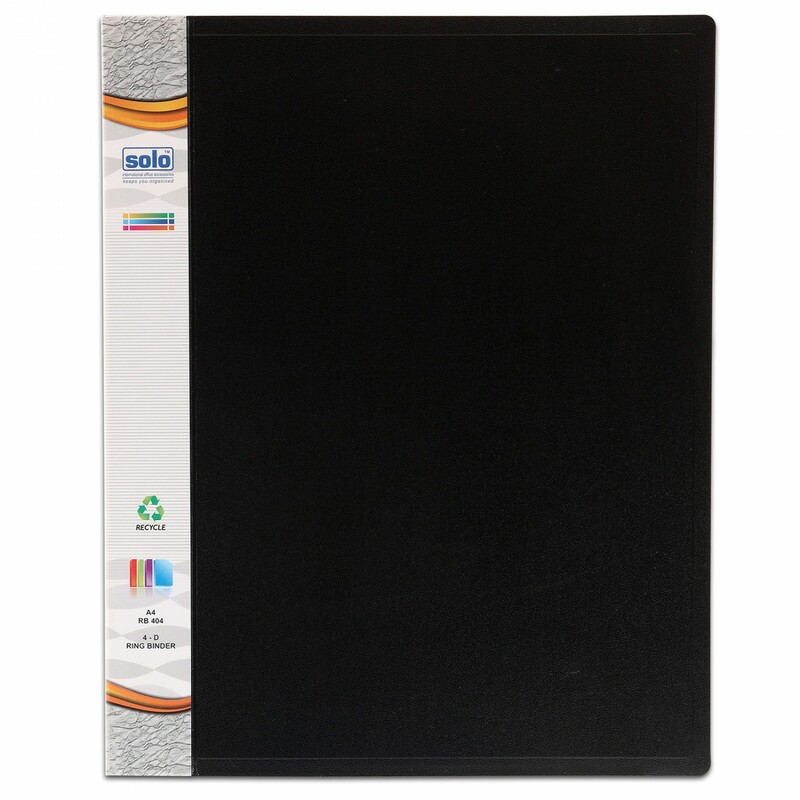 This Solo Ring Binder comes with a UV Stabilizer and an Extra Thick Polycover for support. 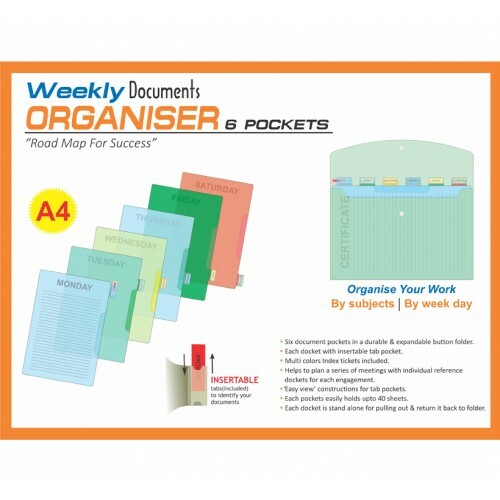 This Solo Ring Binder can store up to 250 Sheets at one time and proves to be very useful for future reference of the documents and sheets stored inside.